Ideal for water bottles, coffeemakers, etc: Protects the water in tanks up to 0.7 l. Pack of 3! 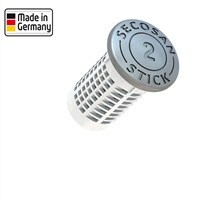 Protects up to 2 l of water reliably against the formation of germs in coffeemakers, etc..Pack of 2! 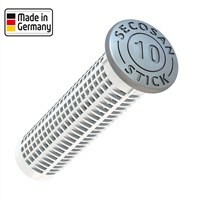 Ideal for water bottles, coffeemakers, etc: Protects the water in tanks up to 0.7 l.
The Secosan stick is ideal for a comfortable and safe water conservation. 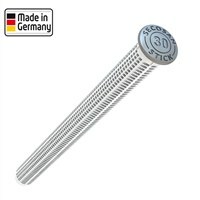 It reliably prevents germs, algae, mold and bacterial growth in drinking water or tap water. 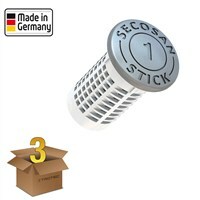 The Secosan stick is used in many ways such as in humidifier, drinking and industrial water tanks, camping canisters, etc.